It was actually back at the end of November when I visited Mien Tay but has been caught up in the midst of all the backlog I’ve had since. A family run restaurant rich with tradition in the heart of Clapham. 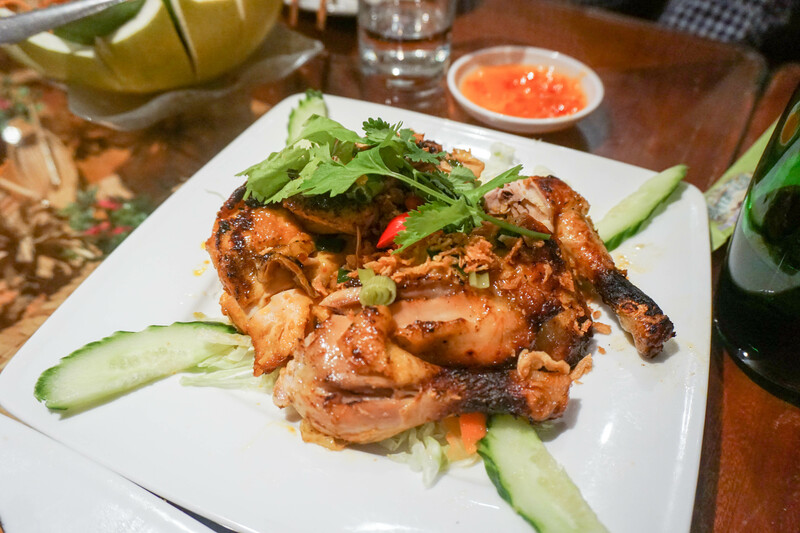 UK residents far and wide have constantly recommended Mien Tay as a Vietnamese favourite in London. 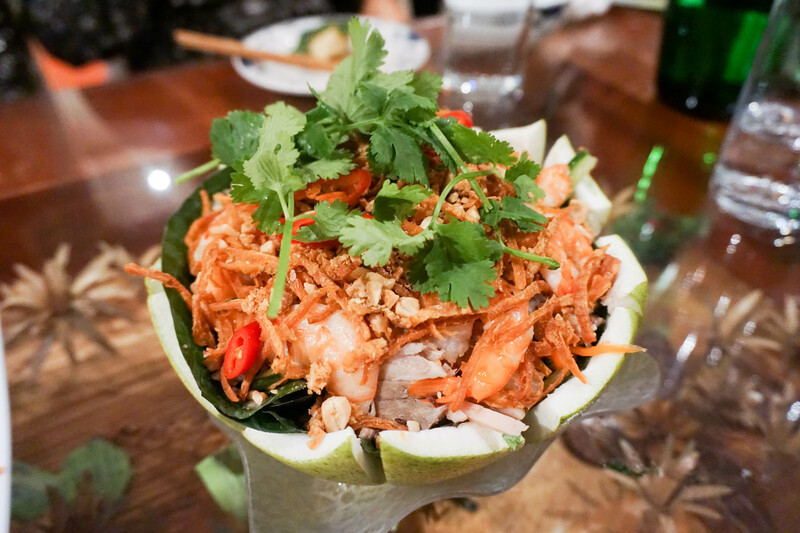 Holding acclaim in The Evening Standard, Metro and Time Out – we were here to try out Mien Tay’s new restaurant menu launch come 2016. 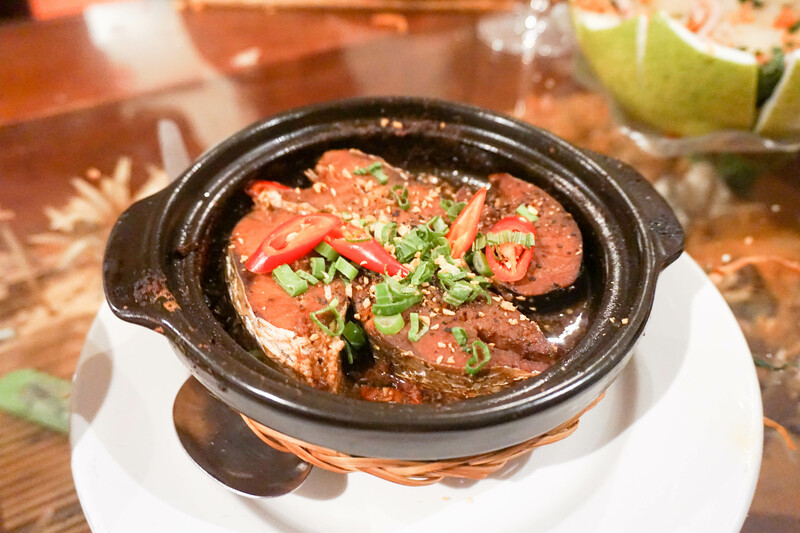 Opened in 2008, a restaurant that seats 80, usually can be seen with a queue in the Clapham branch, flocked by locals eager to get their spring roll and clay-pot curry fix for the night. The interior is somewhat run-down but don’t let that fool you – it’s a place great for catch ups, casual dining and party bookings. You’re here for the food not for the fine-dining, plenty of that else where, and what’s even better, is that its cheap. 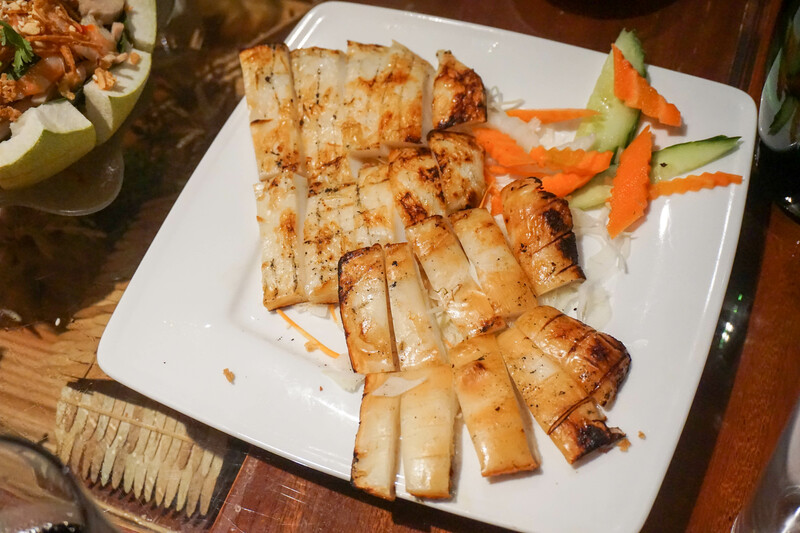 A new starter, the whole grilled semi-dried squid. Unfortunately I wasn’t such a big fan of this as I am accustomed to either boiled squid, battered squid, or completely dried squid. With a completely dried squid, you see these often in Asia as a street food snack where you are able to strip these like ‘cheese strings’. The semi-dried squid was very chewy but did not have enough moisture to tempt me for more. The sweet and sour sauce made a great dipping sauce for it though. After being welcomed with Mien Tay Classics such as their Vietnamese Summer Rolls, we moved on to trying the new dishes rolled out for 2016 with mains such as Stewed Snakehead Fish. My first time trying this fish – a meatier texture but not as hard cooked as sword fish. Seasoned strongly with trimmings and chilli, adding more flavour to the dish. This was one of my favourite dishes of the night, I love all things associated with fish. A starter, the – Deep fried Monkfish had just the right about of pepper and garlic, prepared over crisp coating of battered fish. The insides soft and tender, creating a melt-in-your mouth sensation. I am very big with pomelo, I have this almost every day at home, which may give reason as to why Vietnamese cuisine is one suited to my appetite. The pomelo salad was very refreshing, with processed Vietnamese chicken it really reminds my of my grandma’s cooking who grew up in Saigon for most of her youth. The poussin was very tender, and when honey roasted you can’t really go wrong. 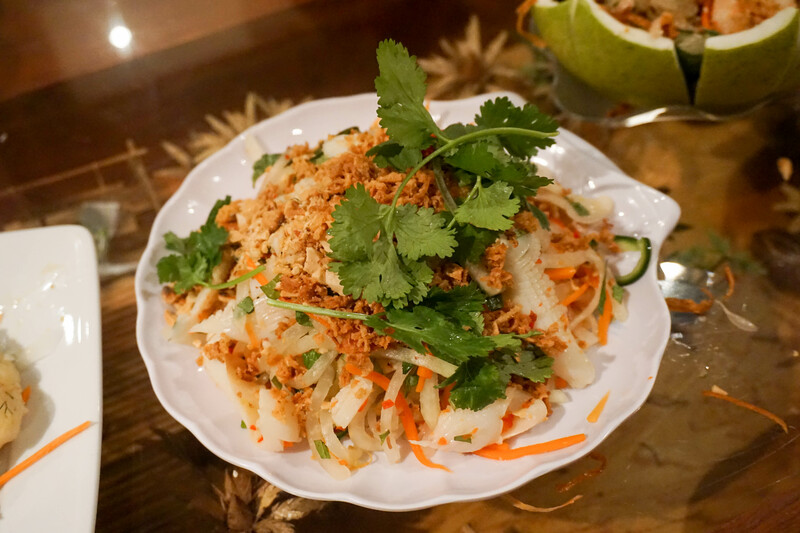 A good dish in all but something that could be made at home – I would suggest to venture out with more exotic Vietnamese dishes on the menu. If you’re craving honey roast by all means go for it though! 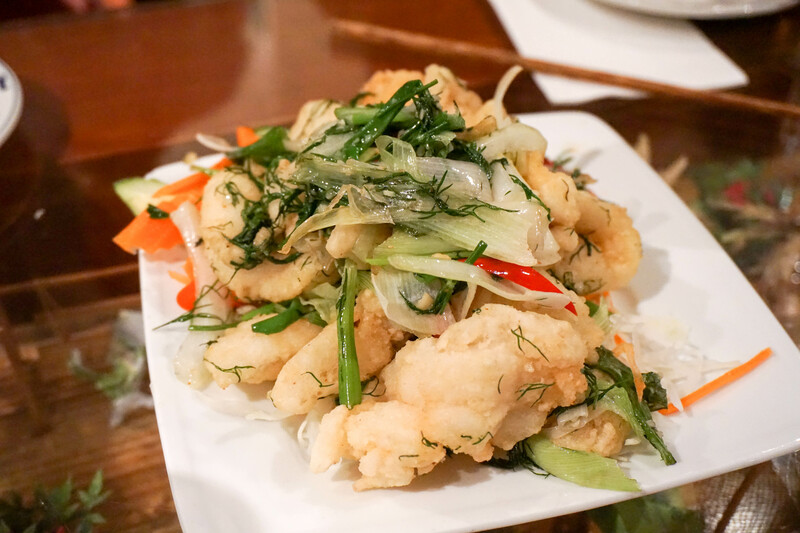 Service: The Mien Tay restaurant family are very welcoming – they’ll be one of the most formidable hosts you’ll find. Friendly and not intrusive.